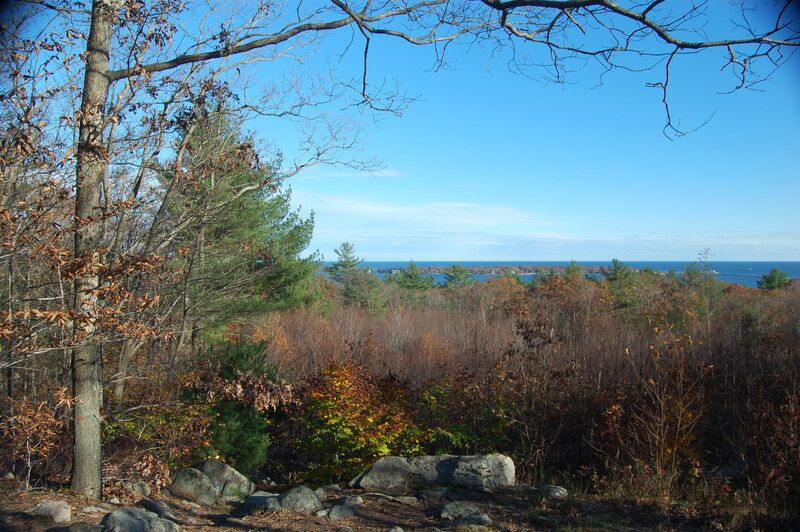 Ravenswood Park - Gloucester, MA - Take a day trip! 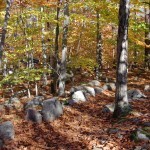 Ravenswood Park is a 600 acre preserve maintained by the Trustees of Reservations near to Downtown Gloucester. It is a lovely refuge that is an ideal place to take children or a dog for a nice afternoon. It is also home to the Cape Ann Discovery Center, a great kid-friendly place to learn about the ecology of Cape Ann. carriage paths to more moderate hikes. Make sure to pick up a map at the visitor center as the park is well marked and fairly easy to navigate with it. Dog Friendly: Dogs are welcome at Ravenswood Park, The Trustees of Reservations do request that you keep your pet on a leash. This park is very popular with dog-owners. Biking: Many of the carriage paths in Ravenswood make great paths for some gentle off-road bicycling. Snowshoeing/Cross Country Skiing: With enough snow many of the paths in this park are ideal for winter recreation. Educational & Interpretive Center: The Cape Ann Discovery Center has lots of kid friendly information for visitors to Cape Ann and is an ideal place to start your visit to Ravenswood. Bird Watching: Ravenswood has several spots to enjoy bird-watching. Check in at the Discovery Center at the park entrance for more information. Picnic Areas: There are a few picnic tables in Ravenswood and lots of great places to spread out a picnic mat and enjoy a nice to-go meal. Parking at the main lot at Ravenswood is limited and you might need to park on Route 127. 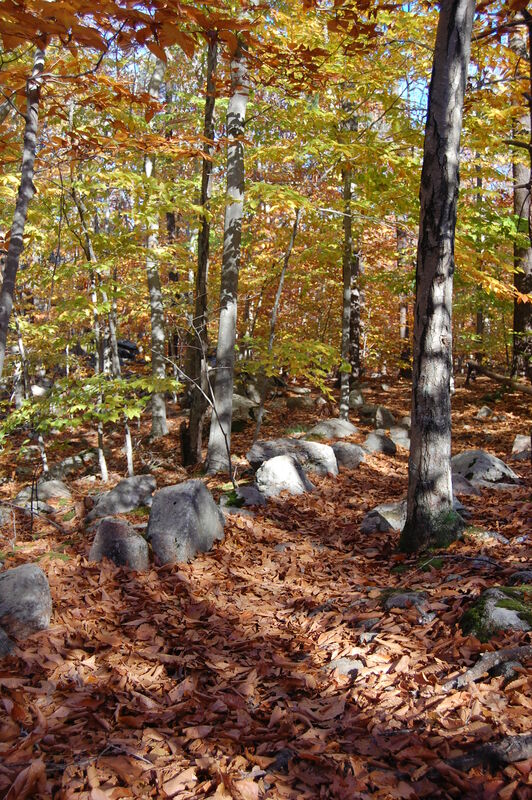 There is no fee to use the park but supporting the Trustees of Reservations with a donation is always a worthwhile investment in protecting many of the special places in Massachusetts. There are facilities at the Discovery Center, however its hours are limited so it might not be open when you are there. Otherwise, take Route 128 North after it splits from Interstate 95 and get off at exit 14 for Route 133. Go east on Route 133 until it ends in about 3 miles at Route 127 in Downtown Gloucester. 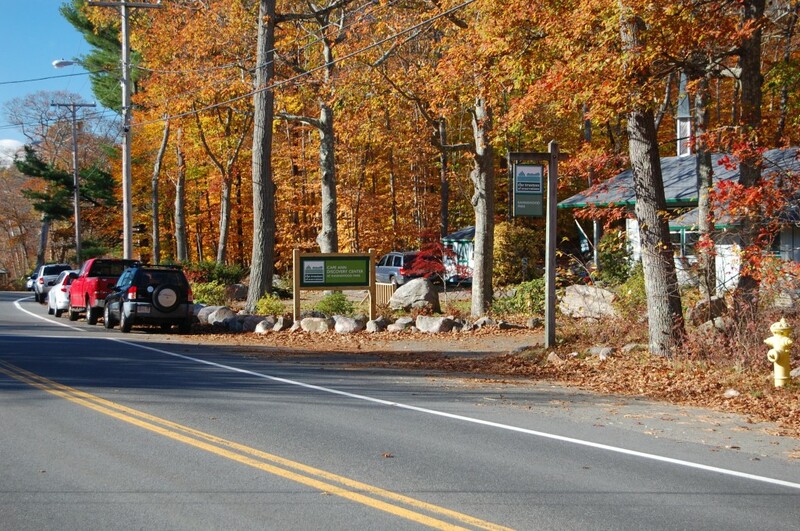 Take a left onto Route 127 and the park entrance and Cape Ann Discovery Cente will be on your right about 2 miles down Route 127. Ravenswood Park is accessible via public transportation as well. The MBTA runs commuter rail service from the Greater Boston Area to Gloucester on the Newburyport/Rockport line. Ravenswood Park would be a short taxi ride (less than 10 minutes) and Cape Ann Transit Authority might provide bus service if you are there at the right time of day. Check out the Cape Ann Transit Authority website and the MBTA website for more details.